One of many paper dolls, I drew in college. I confess that when I look at her now I see all sorts of problems with her, but I was quite pleased with her when I did her. 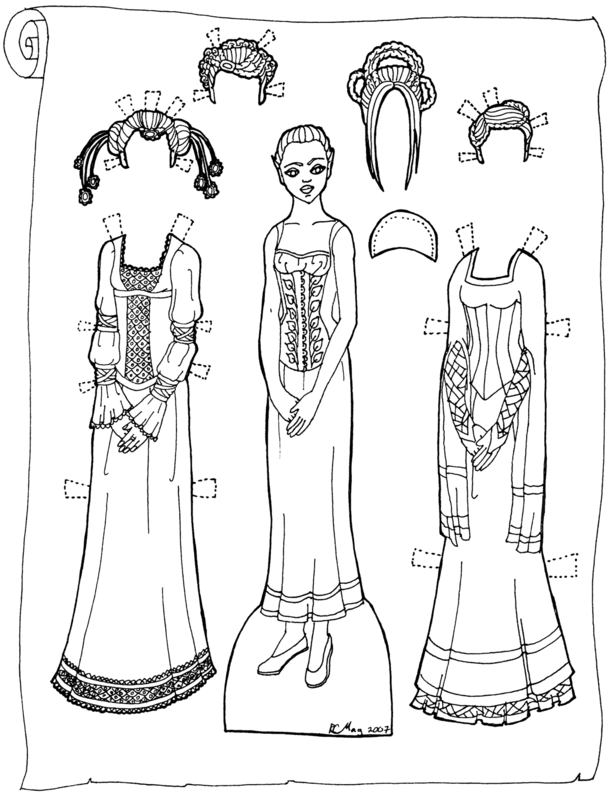 I think it was mostly this paper dolls scroll design that I liked the most.